Clean and scorch the chicken. Cut off the claws and neck. Salt it and put it on a spit; smear it with lard. Put the rest of the lard in the dripping pan and heat it until dissolved. 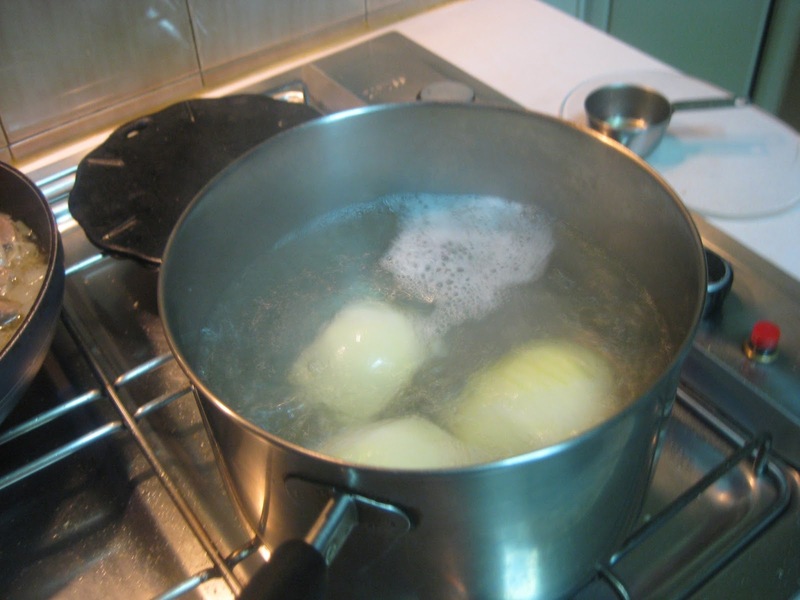 Parboil the onions in boiling water for 5 minutes. Thinly chop them and add them to the dripping pan. Chop the livers and grind black pepper. Add these to the dripping pan with vinegar and ½ c water. Put the dripping pan under the spit and roast the chicken. 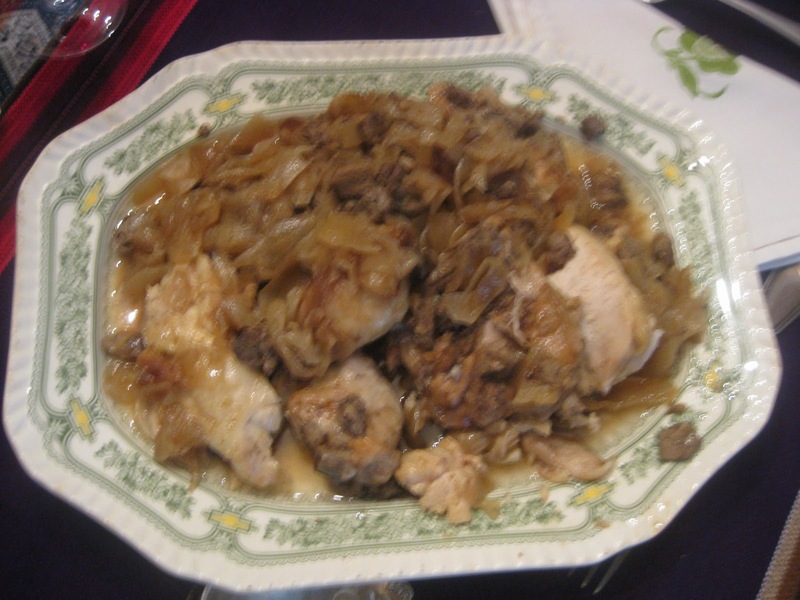 When the chicken is done, carve it and place it in a serving dish with the liver and onion sauce in the dripping pan. Supply eaters with grails instead of plates for eating this dish. The word in Old Catalan is gresals. These are earthenware, wooden or metal cups or bowls.